My heart breaks for the lives of people that are treated unfair. Everyone deserves a chance. Everyone has struggles and battles. Everyone has a story and for a brief moment, I want you to hear a quick story from my life. Many people see the work I do now and celebrate what has transpired over the course of my life, but check this out… If my coaches in high school/college would have done a background check on my teenage years, they would have discovered I had 3 MIP’s, sold weed, smoked weed, skipped school, had poor grades at some point (1.2 gpa) and got drunk; they would not have wanted me to a part of their program. Back in high school at 16 years old. It was very easy to find faults in my character, to display my weaknesses, and hold me to the standard of my choices. However, my coaches were able to see that I was just a hurting, lost, and broken teen being influenced by my surroundings, and making decisions based off of my broken emotions. My coaches saw that I was a teen in need of guidance, love, support, and encouragement. I needed someone to believe in me! If I was always pushed down, punished and given up on for the wrongs I committed and the poor choices I made, then I would not been able to have the opportunity to learn, grow, overcome my mistakes, earn a high school degree, two college degrees, soon to be master’s degree, become an All – American basketball player, get married and eventually become a pastor. I share this because when tragedy strikes, people are quick to point out the wrong someone has done, as a means to justify that an individual deserves poor treatment. Before you go and label someone a thug, gangster, low-life and a nobody, first learn their story and understand why they are making/made poor decisions. You have to believe you can make a difference. Change starts with you stepping up to do your part in society, in your household, and in your community. There are people out there that need to be heard, teenagers that need someone to listen to them, and love them. Will you be that person? I should have been another statistic–lost to the system. I should be dead or in prison. I shouldn’t be where I am today. But God! P.S. Be the change the world needs to see and as you do this; one day you will look up and realize, you influenced a lost teen to turn their life around to be a difference maker in this world. How easy it has become to find oneself stuck in the same routine day in and day out. How does one step of of their comfort zone when being comfortable feels like the right place to be? The answer is quite simple in my eyes. The desire to become great, to leave an impact and life long legacy, one cannot stay where he or she is and do the same thing each day. Have you ever thought to yourself, “I’m good where I’m at. I don’t need to change. I like my life.” I’ve been there countless times. Feeling as though life couldn’t get any better and change was just a word that had little to no meaning. It’s words like legacy and greatness that challenge me and press upon me, to help me realize, where I am at today and what I am doing today is no where near the place where I would like to be. When is the last time I did something bold? When is the last time I concurred something I’ve feared? Is my life challenging to those around me? In other words, does my life challenged people to live better lives? Do I tend to hide in crowds or do I use my voice to make an impact? Am I considered a leader or a follower? Being uncomfortable is not always the best feeling. Living in tension, living on the edge, not knowing where your stepping out may lead is bothersome. I’ll tell you this. Every great leader you see or know had to face the very things that made/make them uncomfortable in order to become the person they desired to be. If we want to be great, we cannot sit back and keep allowing ourselves to talk about change, talk about switching things up and expect time to be the difference maker. We have to be the change we want to see. No one is going to change for us. Being uncomfortable is a place you and I have to live in if we expect to become great. Are you willing to step out of your comfort zone on today? A bad habit is a negative behavioral pattern. It is a behavior pattern that is detrimental to your life. Someone once said, “A bad habit is like a comfortable bed. It is easy to get into but hard to get out of.” There are several bad habits in my life that I want and need to get out of. I’ll even take it a step further. There are bad habits that I’ve been carrying around for quite some time and now, I am in the place I am in because of not making changes. Procrastination. – Waiting until the last minute, being lazy, not doing what needs to be done ahead of time and then scrambling at the last minute to get things done. Lack of exercise. – Working out a couple of times a week, feeling like I achieved something knowing I need to stick to a consistent schedule to see better results. Sleeping patterns. – Staying up into the late hours of the night. Fighting to get out of the bed early in the morning. This happens way too often. The time I spend with God. – When I spend time with God out of duty and not out of love. That’s a major problem. Social Media: – Spending countless amount of time on social networks. You know what I mean, spending too much time browsing, laughing and sharing. When is enough, enough? – For real! How many times are you going to start and stop? – We are like walking stop watches. When will you stop talking about it and just do it? – Shout out to Nike! 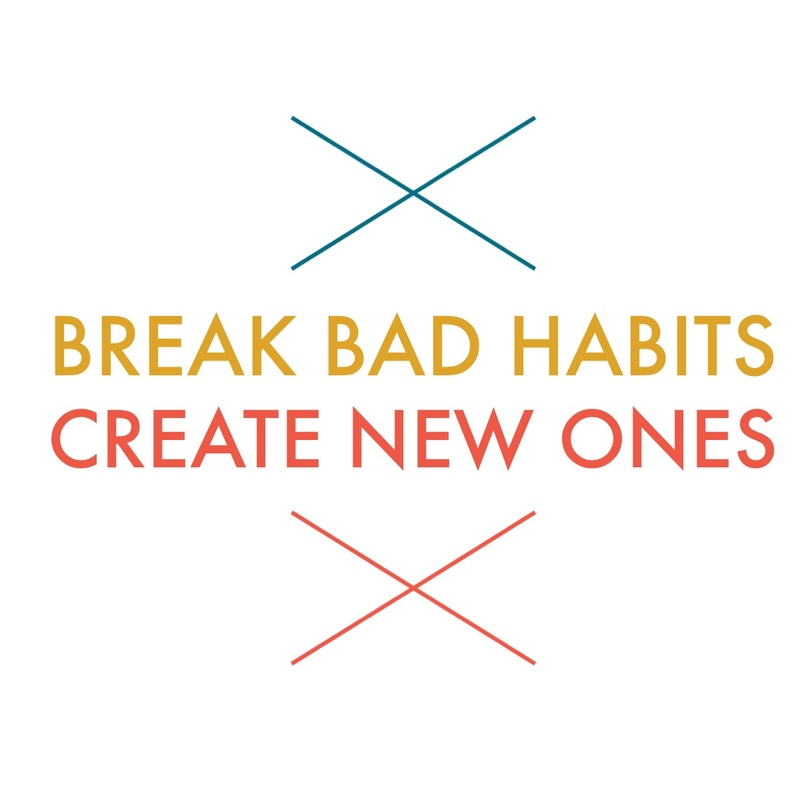 When will you make the decision to break your bad habits? – Hopefully you start now! The power, the choice, the decision is in your hand. For the next 21 days, I will be embarking in the journey to break these habits that I listed above. Many say it takes 21 days to break and create habits. I’ve tried this out before, and it is true. I know it’s going to take some dedication, sacrifice, some determination and some plain out shut your mouth and get it done type of mentality. I’m up for the journey of becoming better. Are you? Over the next 21 days, try to do something different. Challenge yourself. Wake up earlier. Go to bed earlier. Read a book. Extend your prayer time. Try running an extra mile. Read a Proverb a day for a month. Instead of eating out, cook a healthy meal. (If you can’t cook, go out to eat!) Eat some fruit instead of chocolate. (I need your prayers on this one). On a serious note. Let’s be the change that we want to see. I’m rooting for you!